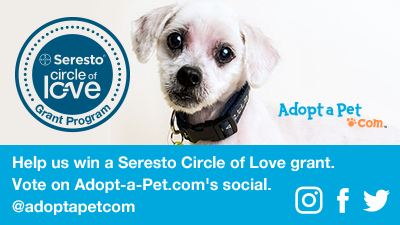 We need your support in Seresto’s Circle of Love grant contest over on Adopt-a-Pet.com‘s social media channels! We are one of two finalists and you can help decide if we get the biggest prize! Please, please. please show your love for Second Chance!! Your support can help us care for more pets in need. Thank you! !